will perform acoustic sets at their Nov. 11 show in Ashland. Michael Franti and his band Spearhead will deliver their organic brand of reggae, hip-hop, soul, funk and righteous political messages with acoustic sets on their two-week tour of the West Coast, beginning Thursday, Nov. 6, with a show in Santa Cruz, Calif., and extending all the way to Vancouver, British Columbia. The tour also marks the group's 20th year. Franti formed the group in 1994 with a few studio musicians, including bassist and mainstay Carl Young. "We thought it would be fun to do an acoustic tour and go back over the music we've done all these years," Franti says during a telephone interview. "We'll play songs from all of the albums and some songs we've written for a new album that haven't been played before. "I love acoustic music," Franti says. "You get to the essence of the song. You hear the words, the melody, the chords. Anytime I write a new song, it has to sound great with just guitar and vocals. After that you can build other things around it. Build a beat, put strings on it, or a marching band or whatever, and it will still work as a great song." Franti and Spearhead will perform at 7:30 p.m. Tuesday, Nov. 11, at the Historic Ashland Armory, 208 Oak St., Ashland. Los Angeles-based singer, songwriter and guitarist Ethan Tucker will open the show. Tickets cost $31 in advance, $36 the day of the show, and can be purchased at www.liveatthearmory.com or at the door. Local musicians can post their music videos to www.facebook.com/michaelfranti for a chance to be selected to jam with Franti and his band at the show. One musician will be chosen from each city on the tour. Audiences also can collaborate on the show. Large panels will be placed in the armory's lobby, and concert-goers can write wishes on 4-inch squares of cloth to be attached to the panels, which will be used as backdrops along the tour. Franti and his group will talk to audiences about their concerns, whether it be the planet or an ailing friend. "It's an opportunity to be part of the show," Franti says. The San Francisco group's discography includes a long list of studio albums, singles, collaborations and live recordings. Franti and Young, along with musicians Manas Itiene, J Bowman and Raliegh Neal, write most of their roots, rock, reggae, hip-hop, soul, funk and pop songs while on the road. "We want to see how they stand up in front of audiences," he says. "If they're good songs, we can lend more to them and get them onto a record. "I've always written songs that are intended to inspire people through difficult times," Franti says. "I've written lots of political songs, songs about social issues, songs about what's taking place in the world, but I want the message to be transformational. I want people to laugh, dance, cry. I want people feel upset about the injustice in the world. I want them to become proactive to make the world a better place. That's the intention behind all of my music." Franti, along with registered nurse and artist Sara Agah, formed the Do It For The Love Foundation, a wish-granting organization that gifts those who are terminally ill, children with special challenges and wounded veterans with live-concert experiences. They are given transportation to a live show, along with loved ones, to meet musicians and experience the healing power of music. See www.doitforthelove.org. "All the shows on this tour will be attended by people living with life-threatening illnesses, families with challenged kids, wounded veterans," Franti says. "We send people all over the country. We have two families per show lined up for this tour." 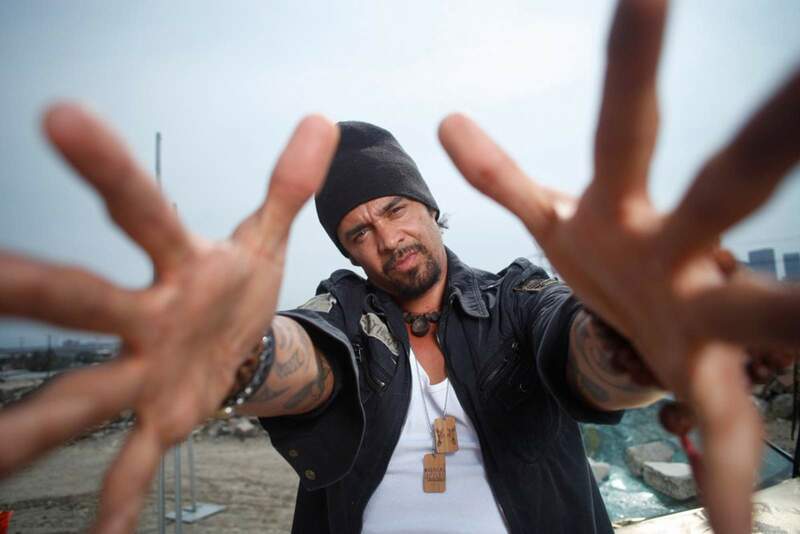 Franti also is an advocate for peace in the Middle East. His film "I Know I'm Not Alone" documents his three-week journey to Iraq, Palestine and Israel to view the cost of war. He's just finished a film titled "11:59," about four ordinary people who have inspired his life. "I spend my life in music, trying to make a difference," Franti says. "Some days, I'm not sure if I have."